The following information comes from the Secretary of the Shooters Rights Association regarding the current discussions around Firearms Licensing. This information is extremely relevant to all shooters, and therefore I am forwarding this to all members as a separate newsletter so that you can read and digest the information. Thanks to Nigel Locke for bringing this to our attention. The first part of this seeks to amend section 1 of the Firearms Act 1968 to set the baseline definition of ‘lethal’ – in respect of air guns other than ‘airsoft’ guns – at one joule, or about .7 of one foot pound. That puts most paintball guns into section 5 controls. The problem with replacing the ‘fact and degree’ test with a number is that the number is arrived at by a formula which uses the velocity of the projectile at the muzzle and the weight of the projectile, so this clause intends to set in law a number which, in practice, varies more by the properties of the projectile than it does of the air gun being regulated. The current way of testing air guns, where the question of ‘lethal’ arises, is to use the ammunition recovered with it. The break point between ‘lethal’ and less than lethal only matters in limited circumstances, such as where the suspect is a prohibited person or under age 18. The Firearms Act, we are often told, creates absolute offences, so this amendment is intended to deny a defence to people who currently have one under the fact and degree process. In the second part of this clause, at 4(b) a fundamental change to the definition of a component part is being proposed. Hitherto, the general definition has been that the components are the pressure-bearing parts mentioned in subsection (a) and (c). The American system of firearms controls uses the basic frame or receiver as the key component; this typically is the part where the serial number is stamped. There has been some excitement in the USA over 3D printers, which they think might be used to ‘print’ this part of a firearm, which in many cases is not pressure bearing. That matters in the USA because the pressure-bearing parts are not controlled, so one can ‘print’ an M16 lower receiver, buy a barrel and bolt from the friendly neighbourhood convenience store and thus evade the federal tax on firearms manufacture. Some non-pressure bearing parts of firearms are also used in other products. The lower receiver of an M16 rifle (the part containing the trigger group) is such a non-pressure bearing part of a military rifle and as such is currently a prohibited weapon subject to section 5 controls in the UK. The same lower is also used in .22” rimfire rifles, which fall in section 1 and in crossbows, which fall outside the scope of the Firearms Act. The deactivation process in use by the gun trade for a hundred years or more before the government adopted it in 1988 addresses pressure-bearing parts. If they can’t take the pressure, they can’t be used. A steamroller with a deactivated boiler is a lawn ornament. One cannot ‘deactivate’ a part that was never active in the first place. Such parts can be made of alloys, plastics, wood, cheese, soap or ice. It conflicts with natural justice to make an absolute offence of a configuration that one can build out of Meccano or cast in a freezer. This subsection is clearly not thought out and given the ‘absolute offence’ nature of our legislation, very likely to cause serious mischief to the law-abiding. Subsection 5 exempts airsoft from Firearms Act controls, but is silent about paintball guns, which exceed .7 of a foot-pound with a non-lethal projectile that exceeds 6mm. A cricket ball can achieve 140 foot pounds (just under 200 joules) as it leaves the hand of a professional fast bowler, but is not lethal, as the bowler is not barrelled. The definition of ‘lethal’ as a matter of fact and degree has stood the test of time well and does not need to be replaced by an inflexible number. Paintball guns will be dragged into firearms controls unless specifically exempted, as is proposed for airsoft. The definition of component parts, currently defined as pressure bearing does not need to be cluttered by the addition of the inert multi-purpose materials suggested by subsection (b). All the proposed changes are directed at creating traps for the law-abiding to be caught in. There is no public safety benefit to be found in laws that are not directed at unlawful behaviour. Section 58(2) says that nothing in the Act applies to antique firearms, possessed solely as a curiosity or ornament; so by definition, antique firearms are not in or for use and are possessed by law-abiding taxpayers. An antique is defined by reference to a dictionary; a bygone, obsolete etc. The terms ‘curiosity’ and ‘ornament’ came together in the political mind in 1920 because they were used together in adverts for ‘Exchange and Mart’ magazine (founded 1878). The meaning thus put into the 1920 Act is perfectly clear. It was also clear that what may be an antique in one person’s possession could still be a useful tool to another. It’s what you do with it that defines its legal status; so doing nothing with it other than displaying it (ornament) or keeping it in a cupboard (curiosity) provides half the definition of antique and the other leg of definition is its obsolescence. T his became the fact and degree test set out in 1977 by the Court of Appeal in ‘Richards v Curwen’. The case related to two service revolvers of 1890s manufacture. The court does not day, but given the dating evidence these would likely be black powder proofed for the .455” cartridge. That cartridge was superseded in the early 1900s by a nitro powered one, the last batch of which was made in 1942. A .38” revolver in British service superseded .455” revolvers in 1927; they enjoyed a brief return to front line service by commandoes in the Second World War and then went back into retirement. The Crown argued in ‘Richards v Curwen’ that the availability of ammunition should define modern guns from antiques. The Court of Appeal rejected that argument on the basis that in a thousand years time, ammunition would still be ‘available’, but did say that they could not envisage firearms made in this (the 20th) century as being antiques. The ‘availability of ammunition’ was a false argument from the start. Ammunition is strictly controlled in the UK, as are the active ingredients and their presence in the possession of a collector immediately casts doubt on his possession of the gun as a curiosity or ornament. The test set out in Richard v Curwen in 1977 works well. In the 1994 case of R v Brown Lord Butler-Sloss said – in a case involving a 1906-dated War Office pattern .22” rifle – that time had moved on and so must the definition. Together these two cases provide an excellent template to use for determining whether or not any fault is to be found in the benign possession of a bygone by a taxpayer. The actual problem is that the guidelines provided to police by the Home Office and to the Crown Prosecution Service by whomsoever provides their guidance do not accurately (or at all) set out the Court of Appeal’s fact and degree test, which leads to them wasting time and money on prosecuting the law-abiding. 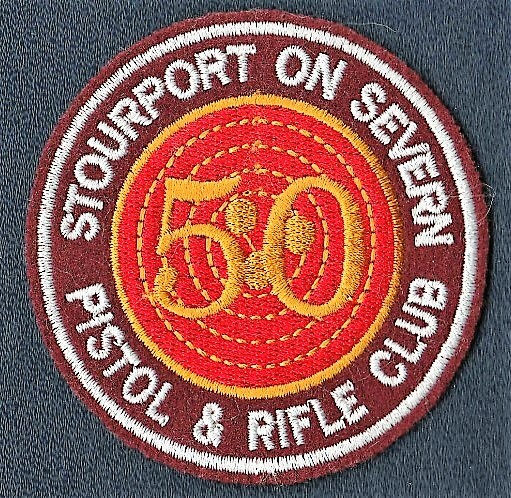 In 2015 Essex police charged a 69 year old retired police officer with multiple counts of possessing prohibited small firearms. He was acquitted at Ipswich Crown Court earlier this year. The Law Commission’s paper complains about where a 1940-dated Lanchester submachine gun was regarded as an antique – presumably by a jury. The Lanchester has an eight-inch barrel, making it a prohibited small firearm with a barrel less than30 centimetres long and/or an overall length of less than 60 centimetres in the words of the outrageous knee-jerk post-Dunblane legislation. That gave the juries in the case of the Lanchester owner and the retired Essex policeman the option of recognizing benign possession of bygones as benefitting from the exemption for doing so in the Firearms Act or watching the judge hand down a five year mandatory gaol sentence for that benign possession. This is because Jack Straw, when Home Secretary, introduced the five year term for possession of prohibited small firearms after telling Parliament and the media that it was a necessary deterrent to prevent people carrying prohibited small firearms about in the furtherance of criminal enterprise. He went on to exempt from this draconian punishment people under 21 – the people most likely to be carrying firearms on the street in the furtherance of crime, leaving the sentence as mandatory for possession by collectors should they fail to convince a jury of (a) their benign possession and (b) the age of their bygone. And now you seek to deny such people any defence in law. That a taxpayers are being charged with the offence of possessing what turn out to be antiques tells us that they were doing nothing ‘wrong’ other than benignly possessing these valuable items and that fact should remind us all of our legacy as a country. That legacy is over twenty million firearms above the UK’s high tide marks. It is difficult to wear a gun out; neglect will eventually. All firearms spend most of their time in storage and are more likely to decay of neglect than they are of usage. Most of these are currently legally possessed: ten per cent-ish are on firearm and shot gun certificates. Registered firearms dealers, museums, police armouries, military arsenals and private collectors hold the rest. Virtually all firearms start out ‘legal’ and the vast majority of those now in private hands but not registered on certificates are pre-regulation or trophies of war. That they are not on certificates is a direct result of Home Office policy, derived from Sir John McKay’s 1972 report. The fact is that whatever you do to regulate firearms, the guns don’t move from where they are. They change status from time to time. Smith and Wesson’s first model revolver in .22”, made in 1857 was an antique within the meaning of the 1920 Act; a bygone chambered for obsolete .22” black powder cartridges that disappeared from production before 1914, so anyone with this bygone in their drawer might have bought a pistol licence for it in 1903, but would not have troubled to get a firearm certificate for it in 1920, as plenty of more modern handguns were available. If the defendant in Richards v Curwen had owned one, he would have been cleared of any wrongdoing, but Home Office guidance to the police, published in 1988, took the view that (notwithstanding, indeed not mentioning Richards v Curwen) the 1857 revolver did not benefit from antique status. In their opinion, which they tried to get taken seriously by encouraging police and prosecutors to ignore the fact and degree test in Richards v Curwen by not telling them about it. A whole series of attempts to criminalize antiques owners failed to get the Home Office policy or the CPS guidelines reviewed and now you seek to enshrine this utter policy failure in law so as to deny any defence to prosecution to your taxpayers. So an 1857 first model S&W was a firearm until about 1904, then an antique until 2016 and is now set to become a prohibited small firearm having a barrel less than 30 centimetres etc., qualifying its owner for five years in prison for benignly possessing it. The actual solution to the antiques problem is to revise the CPS guidelines and amend the Home Office attitude. Firearms of any type first made before 1939 are essentially superseded, making them bygones, from the first model S&W via the Webley .455” to the 9mm Lanchester. What ammunition they take is irrelevant because collectors can’t get ammunition without registering the antique on a certificate in order to use it. That they are currently being possessed without any kind of certification is because policy is to keep the number of certificates to an absolute minimum; so to save upsetting that policy, millions of antiques are kept without documentation. Antiques are associated with having value with condition making all the difference between a valuable antique and junk. The deactivation guidelines changed in 1995 – demonstrating yet another policy failure – and firearms deactivated before then are typically worth more than firearms deactivated after the change. In the case of a Lanchester, £3-400 for a later de-ac and £900 for and older spec model, which has been damaged less by the deactivation work. An undamaged – in working order – model, sold freely as an antique would easily make treble that, so £2,500-£3,000. Prior to the Home Office ‘obsolete calibres’ list, some long arms, such as the Martini Henry rifle (1872-88) changed hands as firearms for under £100. Putting the .577/450” cartridge on the list quickly escalated their value to around £900. Victorian pocket revolvers that might make £10 in 1991 now fetch £600-800 as antiques. Our view is that clarifying what an antique firearm is in the light of the fact and degree test will do two things: it will enable guns to change hands from heirlooms to collectors’ items and will significantly increase their value to much more than the scrote community could afford to pay for them. The definition of an antique firearm was sorted out by the Court of Appeal ‘fact and degree’ test nearly forty years ago. The Home Office failure to embrace that decision has led to numerous unwise prosecutions of taxpayers found in benign possession of antiques that met the fact and degree test but not the Home Office policy failure. The fact and degree test is working well where prosecutions are challenged and the simple solution is to amend Home Office and CPS policy to bring them into line with the law, rather than trying to bring the law into line with a failed policy. The concept of redefining an antique to mean what the Home Secretary says it should mean is so obviously contrary to natural justice that it brings the whole of Home Office policy in firearms matters into disrepute. The ‘problem’ with readily convertible imitation firearms was in the 1970s when a Spanish company made flintlock rifles and pistols and sold them to UK wholesalers as wall ornaments. By not finishing them, they evaded proof test costs and export licence costs. The only difference between a live-firing version and these wall hangers was that in the latter the touchhole had not been drilled through. So a simple hand drill was sufficient to turn one of these wall hangers into a working firearm. Time has moved on and the manufacture of imitation firearms is well regulated so as to avoid readily convertible imitations reaching the UK market. The test in the 1982 Act is quite simple. If one has in possession a ‘readily convertible’ imitation firearm, not tampering with it is evidence of the statutory defence of not knowing it was readily convertible. Of course, if one has tampered with it, it becomes a question of fact and degree as to whether the result is a lethal barrelled weapon or not. The proposal in clause 79 is that the presence of one of these 1970s wall-hangers in the same dwelling as a hand drill becomes an offence without any action on the part of the householder. This clause proposes to criminalize the possession of multi-purpose tools by people who have not used them to make anything firearms related if, in the imagination of a police officer, he thinks they might. This clause proposes giving the Home Secretary carte blanche to charge fees for section 5 authorities. The Home Office has no credibility in the matter of fees, having allowed the police numerous exorbitant fees increases for firearm and shot gun certificates over the years and claiming this this because of increased costs. The Firearms Act says that the fee is payable on grant so the cost liability to the applicant is only to defray those costs that the chief officer of police will incur by making a positive decision: that’s about fifteen minutes of a clerk’s time, the stationery, printing, large envelope and a stamp - £12 at most. Police costs in arriving at the decision are largely self-inflicted. Police in Scotland claimed a large part of their costs was inspecting security, although there is no mandate in law for them to do so. The condition on the certificate places responsibility for adequate security provision firmly on the shoulders of the certificate holder, so for a policeman to ‘check’ this is either a criminal investigation (criminal investigation budget) to see if the applicant lied on the application form or a waste of police time (criminal offence by the person who caused that waste). Section 5 decisions are made in an office by reading the applicant’s grounds for seeking section 5 authority. The application form is a very recent ‘improvement’ to the process, but it is not a service, which is why no service charge has ever been levied on it. Everyone in the Home Office is already paid to do the work, so the concept of meeting the cost of doing it does not arise. We suspect the intention is to treat the fee as a tax to make section 5 authorities less attractive. Anything that makes any of the documentation in firearms regulation harder to get inevitably causes more problems than it solves. Fees charged under the Firearms Act have long since been discredited as a means by which applicants are to be discouraged. More of the same diminishes the government’s credibility still further. Following the 1968 Firearms Act, the Home Office issued a memorandum of guidance to police in 1969. It was a restricted document that has never been published and was used by firearms department staff in conjunction with a copy of the 1968 Act to guide them in matters of bureaucracy. It was not updated, so when the Courts Act 1971 amended schedule 5 of the Firearms Act 1968, nobody knew about it. 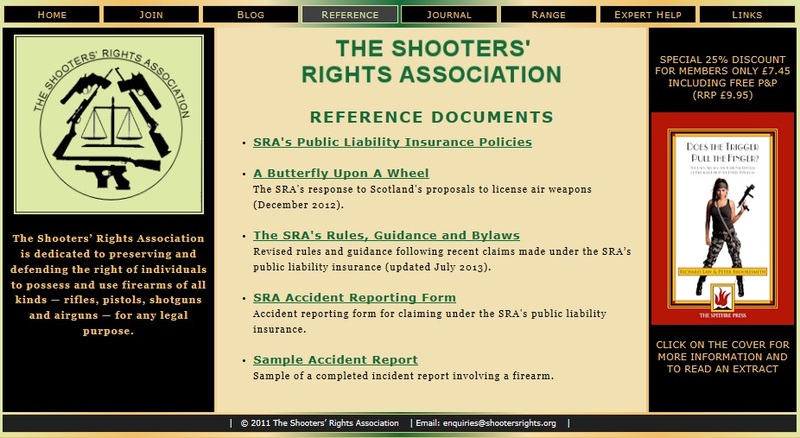 Pirate copies started to circulate in shooting clubs and the gun trade and the Shooters’ Rights Association was re-formed in 1984 specifically because of injustices that occurred around the country in the postcode lottery of diverse interpretations of government policy by fifty+ police forces. In 1985, a Home Office committee proposed updating the guidance and publishing it and draft copies circulated for comment in 1986. The process was overtaken by events in 1987 when the Hungerford murders resulted in the 1973 Green paper Cmnd 5297 being dusted off and presented to Parliament as the firearms bill 1988. Following the passage of that bill, the guidance was hastily revised and a further consultation exercise was undertaken. My submission in that consultation resulted in over 100 amendments to the draft, but I missed the effect of the Courts Act 1971, so the guidance, when published in 1989, still misled readers as to the actual contents of schedule 5. The guidance was further revised in 1998 after the two 1997 Firearms Acts. Since then it has been amended more frequently – particularly recently – and without any consultation whatever outside the ivory tower. Overall, the guidance is supposed to achieve consistency or practice around the nation and has largely failed to do so; in my experience because so many people in police firearms departments seem not to have read it. The task of issuing firearm and shot gun certificates is relatively straightforward, but requires a practitioner to have adequate legal training and, these days, considerable medical training; neither of which is to be found in the guidance. This clause proposes to put the guidance on a statutory footing. The main problem with that is it is so inaccurate now that it leads those who do trouble to read it into error and has caused most chief officers of police to have longer waiting lists for that fifteen minutes work it takes to renew a certificate than most hospitals have for elective surgery. It’s inaccurate, in places by error and in others by omission. It sets practitioners tasks that have no statutory basis for which they are inadequately trained. It serves as a guide to policy, rather than law without explaining when it is guiding by policy instead of law. It ignores the relevant judgments set by courts of record when these contradict policy, as discussed in the context of antique firearms. It has been altered many times in the last few years, usually without consultations or publicity. The Home Office has done nothing in the past two decades to solve the problems it has caused. We responded to the Home Affairs Select Committee’s review of firearms law following the 2010 murders in Whitehaven Cumbria. That committee has reviewed firearms several times, but has only ever considered the legally held ones. The problem with legally held firearms is that, from time to time, something goes wrong. We took that as our starting point. Before about 1980, access to shooting was somewhat masonic: getting into a shooting club was rather ‘who you know’, as was access to country sports, both game and pest control. Times were changing; the period 1955-79 saw a rapid growth in the wealth and mobility of working class people and that saw them moving into all sorts of leisure activities. In 1955, the labour shortage in the countryside caused by the war and then the disbandment of the land army was being covered by mechanisation. Pest control took a back seat, as the predation by wildlife was being covered by increased productivity. Shooting clubs reverted to their peacetime role as social entities that got lead into the air at weekends. Shooting gained popularity, as did other outdoor activities. Clay pigeon shooting swelled rapidly. The shortage of pest controllers was gradually assuaged by farmers paying hobby shooters – later selling the shooting – and by 1980 all forms of shooting had expanded until they hit the glass ceiling of the police policy of keeping certificate numbers down. What changed at that point was commercial shooting clubs emerged. The ‘old’ masonic clubs were selective about who they took on as members. New chums trained under the club coach until they reached the point where they needed their own firearms to make progress and at that point they applied for a certificate. The police did little other than the statutory checks, because the club membership told them that (a) the applicant had a good reasons and (b) the applicant was socially acceptable. The club’s reputation carried applicants through. Clubs quite often did not approve full membership until that certificate was granted. The commercial clubs took the view that the acceptability of an applicant for a firearm certificate was a matter for the police, not for them; so Michael Ryan joined the Tunnel Club in Devises and applied for various firearms without the social restraints of an old style club. We do not know the extent to which he was ‘checked out’ by the police because there was no public enquiry, but he got his certificate in short order. Our view is that in a traditional club, he would not have passed muster socially and would have dropped out without applying for a certificate. That is the way the shooting sports used to regulate themselves. After the 1988 Act, the Home Office progressively sought to micro-manage the clubs – it was always the clubs, not the field sports – and by 1997 was overtly dismissive of the opinions about an applicant of firearms dealers and club officials: the people most likely to encounter that chap when he has loaded firearms were not thought, by the Home Office, to have any valid opinions about him. It was precisely that official thinking that got Thomas Hamilton’s certificate renewed in 1995. If the club system’s opinions had been listened to, and/or if the guidance had been read, he would not have had firearms in 1996. The police have kept very quiet about the good reasons for Derrick Bird and Mike Atherton having certificates. They seem to have been pest controllers with private land to use, thus putting them outside the social controls of clubs and syndicates. I spoke to various people in Whitehaven on the day, one of whom had been shot at; nobody knew that he had firearms. Local firearms dealers or clubs did not know him. We took the view that there should be a system of firearms training for people whose activities did not fall inside target clubs. A certificate of competence from a recognised instructor: that would mean people like Derrick Bird would be known to at least some people in the shooting community and in our view, we who are going to encounter them when they have loaded firearms are the best judges of who we want (or don’t want) to meet in those circumstances. We set our proposals out in the book ‘does the trigger pull the finger’ in 2011. Applicants for a firearm certificate should first obtain a certificate of competence for each class of firearm they seek to possess from an approved training academy. Applicants should acquire suitable storage capacity for their intended firearms from a recognised installer who can certify the security. Where security is pre-existing, it should be certifiable by an approved trainer, club secretary, installer inspection or police. Certificates to be issued by a national agency working to competent guidelines that set out the legal requirements, based on law rather than policy. The ‘certificate’ would be a credit card type card giving access to the holder’s records. Dealers would create a computer file for each firearm and transfer that file to the next owner of each firearm. In that way, we don’t have hundreds of paper certificates in the post. Most of the existing ‘controls’ are job creation micro-management that serve to conceal what may be dodgy in the white noise generated by treating all certificate holders as suspect. The current Home Office guidance is unsuited to gaining statutory recognition; it’s policy driven, ignores the law and leads practitioners into error – if they read it. It is a poor starting point. If any improvement to public safety is to be achieved out of controlling those who wish to be law-abiding it will be best achieved by streamlining the process, thus to make anomalies stand out. This will be best achieved by a national agency working to competent guidelines drafted by professional law officers.